Great things happen when we unite our efforts in service of our young children. Here’s some of what Oakland Starting Smart and Strong and our collaborative members are up to. We're excited that the Governor Gavin Newsom is proposing significant expansion of services for babies and toddlers. 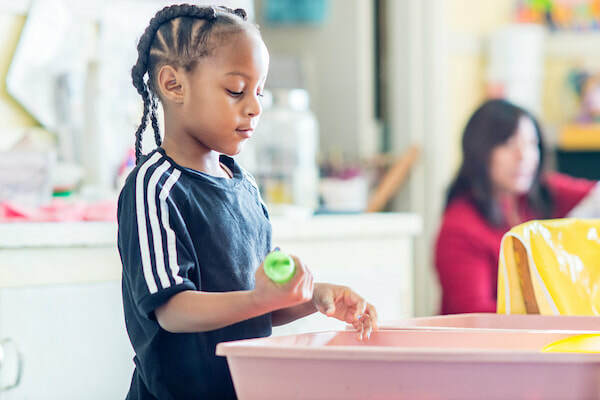 In this piece in EdSource, Meera Mani of the David and Lucile Packard Foundation makes the case that California can learn from what Oakland Starting Smart and Strong and other community-wide efforts are discovering about how to create a quality pre-kindergarten system. ​Here are some helpful tips on choosing a preschool from the Hechinger Report, a nonprofit, independent news organization focused on inequality and innovation in education. Over 215,000 Alameda County residents voted in support of a sales tax for child care in June 2018. However, the votes were less than half a percentage point from the ⅔ needed, at 66.2%. Unfortunately, Measure A, the Alameda County Child Care and Early Education Measure, did not pass. On July 24th, the Alameda County Board of Supervisors (BOS) voted to table the measure and not put it back on the ballot this November. While it did not pass, a motivated and dedicated coalition of labor, elected officials, parents, policy advocates and funders came together to work on providing safe, quality, affordable childcare and preschool. Building upon this momentum, the coalition is discussing placing a similar measure on the 2020 ballot. In the meantime, the coalition will explore lessons learned and steps that can be taken in the future to win even wider support for this type of measure. The leadership and collaboration developed in support of quality child care throughout the County is a significant accomplishment, one we’ll build on for the future! Family separations and family detention are of grave concern to all of us who care about the safety, development, and health of young children. 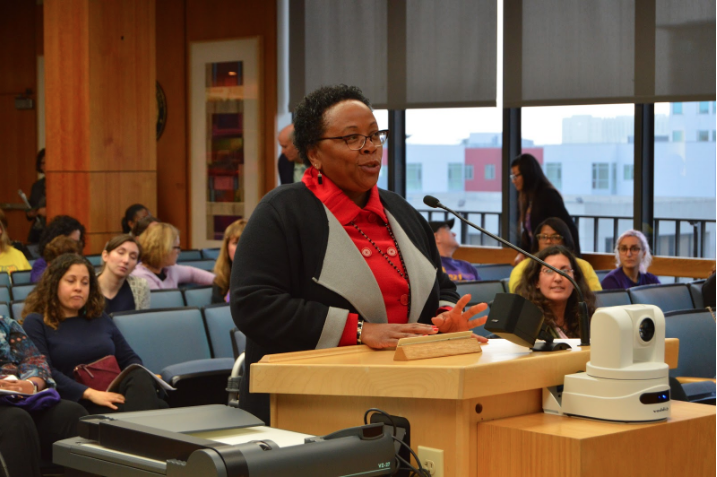 First 5 Alameda County recently adopted a resolution opposing the presidential administration’s “zero tolerance” policy. Two resources for more information on child advocates’ response to these inhumane practices are the Young Center for Immigrant Children’s Rights and Kids in Need of Defense (KIND). A banner created by parents at OUSD's Brookfield Pre-K shows their hopes for their children. Nonprofits serving the community have crucial information that lawmakers need to hear! In February, Oakland Starting Smart and Strong sponsored “Standing Up and Speaking Out”, a lobbying 101 webinar by Alliance for Justice (AFJ). Sara Matlin from AFJ provided information on IRS lobbying limits and definitions and on organizations’ rights to advocate for community change. Nonprofits could and should lobby - they just have to stay within their annual lobbying limits, track and report lobbying. The IRS 501(h) lobbying election can provide nonprofits with a straightforward way to measure their lobbying, by setting specific dollar limits and clear definitions of lobbying. Public and non-profit agencies struggle with how to provide their services when the families they work with have unmet needs for food, housing, clothing, and/or transportation. In February, we hosted a Task Force dedicated to addressing basic needs on a policy and practical level. Jessica Bartholow from the Western Center for Law and Poverty opened the discussion by offering information and insights on federal and statewide policy issues impacting low-income families. The Task Force then had an interactive discussion with a panel of experts on the topic of diaper needs. Lisa Truong, founder and Executive Director of Help a Mother Out (HAMO), explained that diapers are not covered under safety net programs like WIC or food stamps, and shared how her agency has been working to increase diaper access. Dan Kelly, Director of Planning for the San Francisco Human Services Agency, discussed how his agency has partnered with HAMO to distribute diapers through Family Resource Centers. This diaper bank program in San Francisco was developed with input from families, who requested pick up locations in their neighborhoods. Kelvin Dunn, Lead Case Manager at the Center for the Vulnerable Child at UCSF Benioff Children’s Hospital Oakland, shared that by offering diapers as a resource, not only has he helped families meet their basic needs, but his relationships with families has deepened, allowing him to provide more intensive services. Kelly: Let Good Grow 2017 from Help a Mother Out on Vimeo. 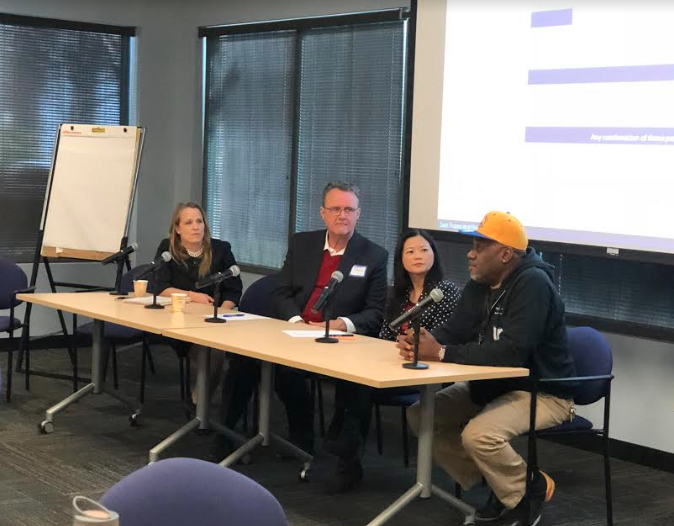 ​The Task Force also included a presentation on Healthy Food, Healthy Families, an initiative of All In Alameda County, which is addressing food insecurity and food consumption. Kelvin Dunn, Lisa Truong, Dan Kelly, and Jessica Bartholow present on addressing diaper needs. For months, a large and diverse coalition of policy makers, early childhood education experts, parents, caregivers, labor leaders, community organizes, and advocates has been working tirelessly to design a ballot initiative that would double the amount of funding for the subsidized preschool and child care system in Alameda County. The Child Care and Early Education Initiative focuses on improving access (through thousands of additional scholarships and support for families to find great care), quality (more resources for provider coaching and professional development, participation in Quality Counts), and wages of providers who do this critical work. The initiative, if passed by Alameda County voters, would be the largest public investment in California’s children since Prop 10 passed in 1998 and created our state’s First 5 Agencies. We’re proud that in February, after hearing public comment from dozens of supporters of the measure, the Board of Supervisors voted unanimously (5-0) to place the initiative on the June 2018 ballot! Though the work is by no means done, this was a huge moment for the field. To learn more and stay updated, visit this website. 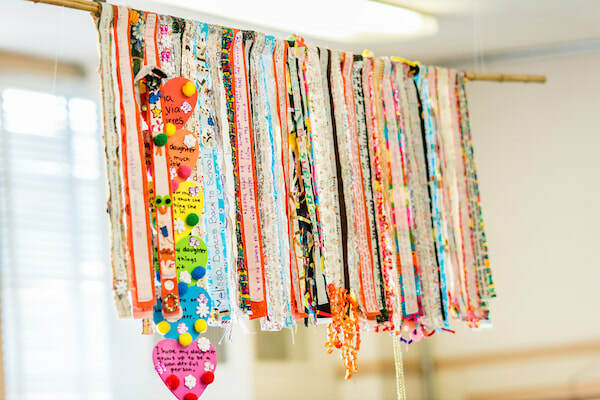 Oakland Starting Smart and Strong is featured in an Early Learning Lab article on training early childhood educators to work with children's trauma. In the fall of 2017, our new Trauma-Informed Practices project kicked off with a gathering of early childhood educators from the City of Oakland Head Start and the Oakland Unified School District, who came together to learn about practices and strategies that build on children’s strengths within their environment to support their health and healing. The training reached maximum capacity just days after being made available. To meet the demand, there are already plans to offer additional trainings to more teachers.